Millions of young people will get a chance to try GIS mapping during the annual 4-H National Youth Science Day (NYSD) on October 9, 2013. This year's event has a mapping theme, with 4-H members exploring geospatial technologies in Maps and Apps. They'll also be able to work on a second project that determines the best locations to position refuse and recycling containers in public areas where trash regularly accumulates. "Science and technology have become increasingly important in our [4-H] activities," says Jim Kahler, national program leader for the 4-H Science Program. "Because geospatial technology can be related to so many other activities that members are involved in, such as animal and agricultural science and nutrition projects, we decided that it would be a good theme for this year's science activity." A 4-H Technology Team collects data for a mapping project. "Because of our longtime involvement with GIS, we think this is going to be a particularly successful event," says Kahler. Esri has provided software and training to 4-H clubs for several years, and club members have been invited to the Esri Education GIS Conference in San Diego, California. "This amounts to thousands of 4-H members with GIS experience that will be able help with this year's project." The increased emphasis on science in 4-H was inspired by the report "Rising Above the Gathering Storm," published by the National Academies in 2007. It warned, "The danger exists that Americans may not know enough about science, technology, or mathematics to significantly contribute to, or fully benefit from, the knowledge-based society that is already taking shape around us." NYSD brings together youth and volunteers, as well as educators from the nation's 109 land-grant colleges and universities, to simultaneously complete 4-H's National Science Experiment. The 4-H program has approximately 6.1 million members, and thousands of them are expected to participate in this year's science day activity. A. B. Graham, a school principal in Springfield, Ohio, is credited with starting what was to become 4-H. In 1902, motivated by the large numbers of young people who were leaving their farms for work in the city, Graham started to promote after-school programs to educate youth in the practical arts of scientific agriculture to improve crop harvests and safely preserve food. The national 4-H organization was officially formed in 1914, when the United States Congress created the Cooperative Extension Service within the US Department of Agriculture (USDA). This consolidated various boys' and girls' clubs that were involved with agriculture, home economics, and related subjects. The 4-H curriculum has expanded to include new technical programs through the 4-H Science Initiative, which supports the Science, Technology, Engineering, and Mathematics (STEM) program. The US government implemented STEM to improve elementary and secondary students' science and technical skills. "Esri's GIS technology has empowered 4-H youth to take an active role in researching and investigating their communities," says Esther Worker, Esri's informal education manager. 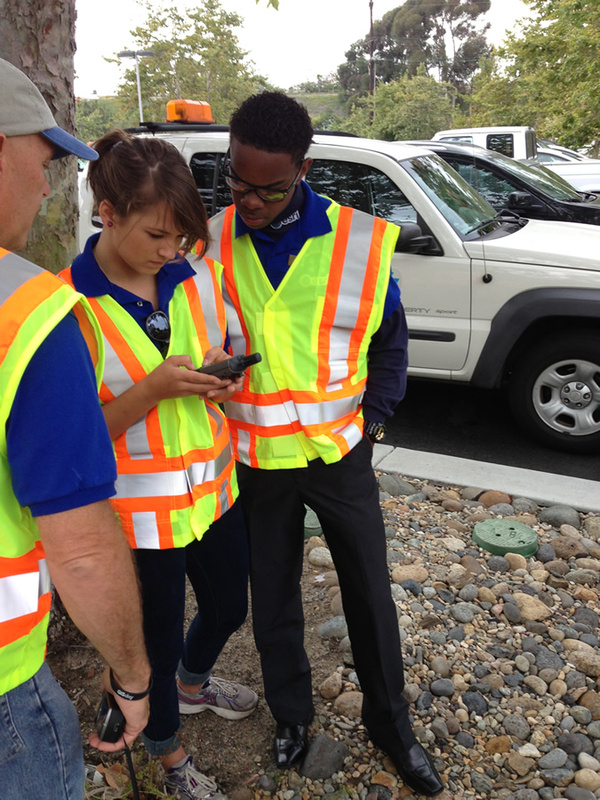 "4-H youth are learning about community, technology, and careers as a result of their GIS service learning projects. 4-H youth are going into higher education and the work force with GIS technology expertise."